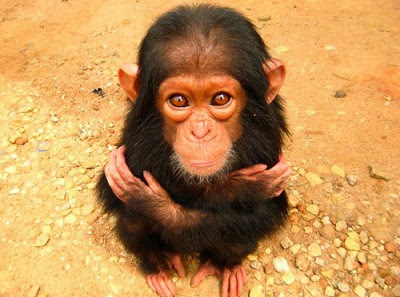 US to adopt strict new limits on chimp research ~ Health Matters Today! Days in the laboratory are numbered for chimpanzees, humans' closest relative. Chimps paved astronauts' way into space and were vital in creating some important medicines. But the U.S. government said Thursday that science has advanced enough that from now on, chimpanzees essentially should be a last resort in medical research — a move that puts the United States more in line with the rest of the world. Chimps' similarity with people "demands special consideration and respect," said Dr. Francis Collins, director of the National Institutes of Health. His move came after the prestigious Institute of Medicine declared that most use of chimpanzees for invasive medical research no longer can be justified — and that strict new limits should determine which experiments are important enough to outweigh the moral cost of involving this species that is so like us. "The bar is very high," said bioethicist Jeffrey Kahn of Johns Hopkins University, who led the institute panel. The group stopped short of recommending an outright ban, saying a handful of research projects today might still require chimps — but more importantly, that the animals might be required in the future as new diseases evolve and emerge. Animal welfare groups welcomed the change but continue to push for Congress to pass legislation that would go a step further and phase out all invasive chimp research. "Chimpanzees have provided limited value in research settings, and now alternative methods have been developed that will make their use all but obsolete," said Wayne Pacelle, president of the Humane Society of the United States. But some scientists say it's not that big a change because chimp studies already were dwindling fast as researchers turned to less costly and ethically charged alternatives. "The use of a chimpanzee in biomedical research is the rare exception," said Dr. Thomas Rowell, who directs Louisiana's New Iberia Research Center, one of five research centers that houses chimps and other primate species used in both government- and privately financed studies. It is not clear exactly how many of the nation's 937 research chimps — 612 of them owned by the NIH — are in the midst of experiments that would be affected by the new standards and could be moved into retirement instead. Most of the chimps are fairly old, as the nation has had a moratorium on breeding since 1995. But Collins temporarily barred new government-funded studies involving chimps as his agency began implementing the recommended restrictions. Also, a working group will decide whether to phase out about 37 ongoing projects, about half of which Collins said probably don't meet the new standards. These apes' genetic closeness to humans — the genome is about 99 percent identical to ours — has long caused a quandary, making the animals valuable to medical researchers for nearly a century but also sparking ethical and emotional questions about how they are housed and used. "They are highly intelligent. They live in complex social settings, and they live for a very long time," said evolutionary anthropologist Anne Pusey of Duke University, who once worked with chimp expert Jane Goodall in Tanzania and manages an archive of Goodall's field data on the animals. "When you enclose a chimp in a very small cage for 50 years, it really is cruel and unusual, even regardless of whether you're doing invasive things to them," she added. The U.S. is one of only two countries known to still conduct medical research with chimpanzees; the other is Gabon, in Africa. The European Union essentially banned such research last year. Thursday's decision was triggered by an uproar last year over the fate of 186 semi-retired research chimps that the NIH, to save money, planned to move from a New Mexico facility to an active research lab in Texas. They are staying put for now. The Institute of Medicine's investigation found over the past 10 years, the NIH has paid for just 110 projects of any type that involved chimps. Most involved hepatitis C, a liver virus that infects only humans and chimps. Some involved HIV, a disease that scientists now know is better to study in rhesus monkeys. Still others involved comparing the genetics of chimps and humans, or behavioral research examining such things as development and mental health. The institute recommended two different sets of restrictions. Biomedical research — testing new drugs or giving chimps a disease — should allow using the apes only if studies could not be done on other animals or people themselves, and if foregoing the work would hinder progress against life-threatening or debilitating conditions. The panel said behavioral and genetic research, while less controversial, nonetheless should be limited to studies that provide insights otherwise unattainable, using techniques that minimize any pain or distress. The institute combed research files to see what types of projects would fit those strict criteria — and could come up with only a handful, such as a possible need to test vaccines against hepatitis C in the animals. But the panel concluded chimps aren't needed to study cancer or a host of other diseases or even to test most drugs. The standards would not automatically apply to privately funded pharmaceutical research, although the industry, too, is shifting away from use of chimps. One drug company, GlaxoSmithKline, adopted an official policy ending its use of great apes, including chimpanzees, in research.